Chief-editor of the Turkish newspaper Cumhuriyet, Can Dundar, who proved Ankara's ties with Islamist militants in Syria, was arrested in November on charges of "espionage" and "disclosure of state secrets. The newspaper published an online video depicting a truck of Turkish secret services which allegedly transported arms to jihadists in Syria. Erdogan called the report a "betrayal" and promised that Dundar "will pay a high price." Nevertheless, the journalist continues his struggle for freedom of speech and writes his column from prison. His arrest has made him a symbol of the suppression of basic human rights in the country, DTN wrote. 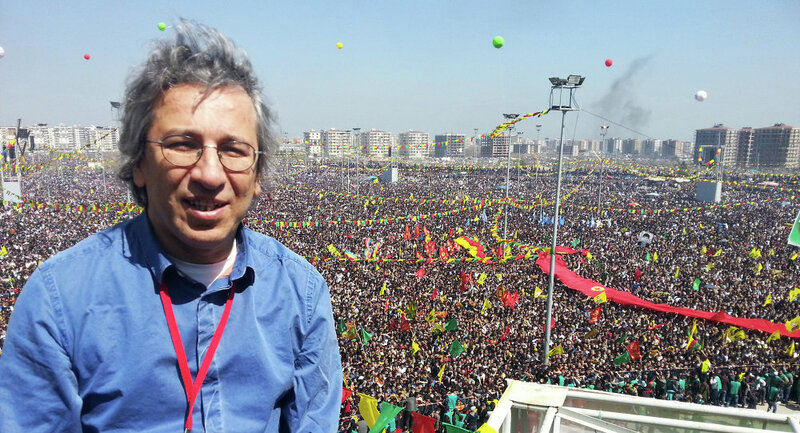 Even while in detention, Dundar has not lost his courage and ironically described his arrival to the facility. Replying to the question of why he was arrested, the journalist answered: "I am a spy. But if you ask, what country I'm working for, I am not sure what to say." His colleagues have also not let the country's authorities to intimidate them. They believe that they have to tell people the truth. "We are just doing our job, which is to inform the public about what is happening in our country," the deputy chief-editor of Cumhuriyet, Tahir Ozyurtseven, said. "It is an everyday struggle for us to continue telling the truth," he added. According to DTN, Dundar and another arrested journalist have sent to European leaders a letter, warning them of cooperation with the Turkish government. In their opinion, the Turkish government has lost all respect for freedom of speech and expression. The EU government and several NGOs have repeatedly criticized the growing repression against the media and the opposition in Turkey. In Reporters without Borders' ranking of freedom of expression, Turkey is now in the 149th place.